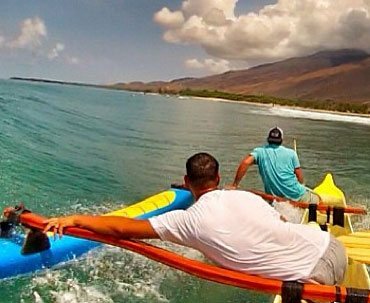 Outrigger canoes first arrived in Hawaii around 200 AD, some large enough to hold up to 80 people, and were filled with essential items like edible plants, water, and animals to ensure a somewhat safer voyage for the brave explorers who took off in search of land. 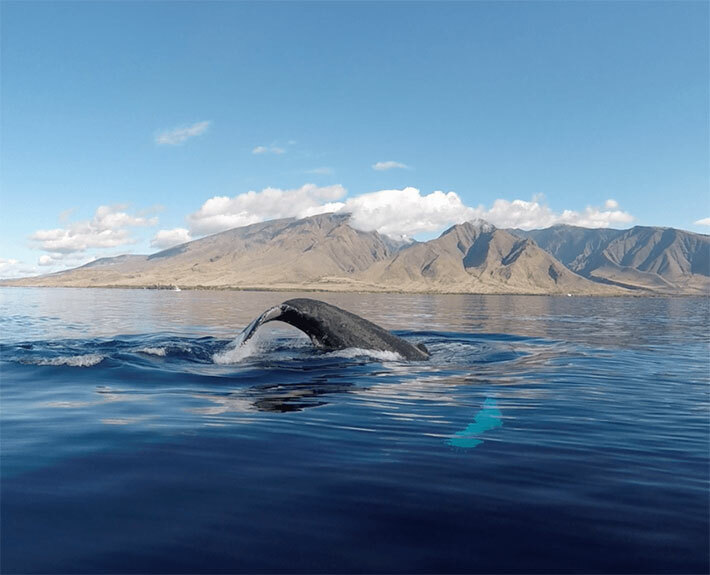 By following the migration patterns of birds seen flying overhead, explorers soon discovered the Hawaiian Islands. 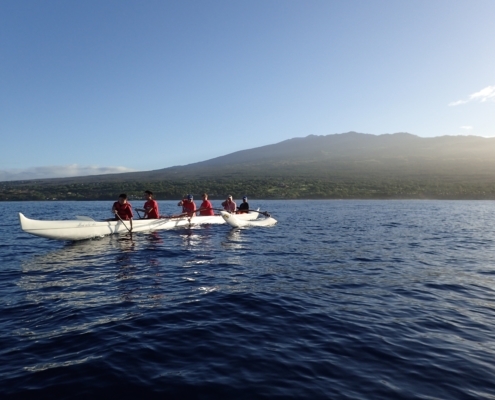 Experience the incredible rush as you and your group are pulled along by the waves in an outrigger canoe. 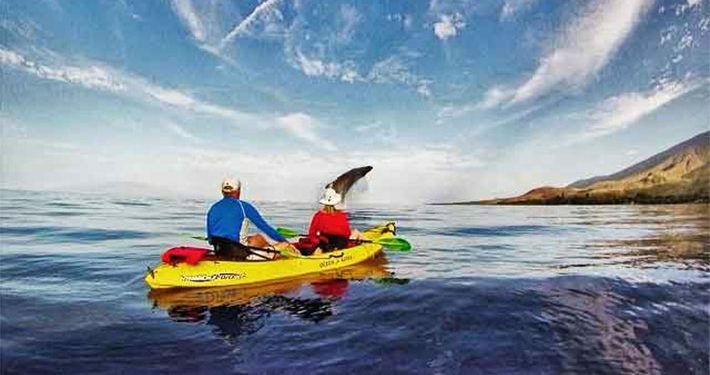 Canoe surfing has occurred as long as there have been canoes on the ocean. 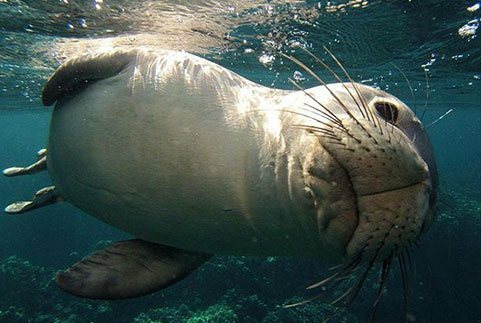 Often the ancient mariner’s time their landings based on tides, beach accessibility and the waves that would quickly and safely bring them close to shore over shallow reefs. 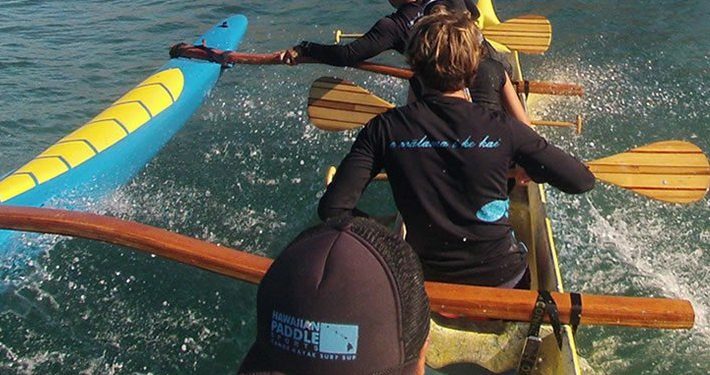 Unlike our other tours which are private, outrigger canoeing and the canoe surfing tours are group events. 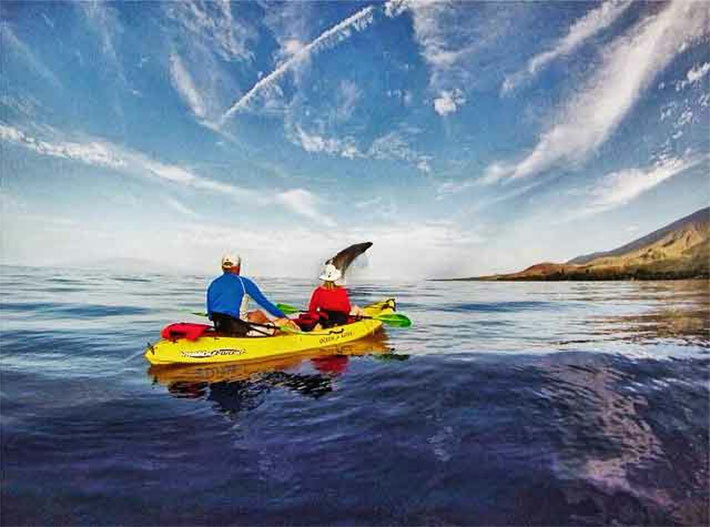 Paddle and explore Maui’s unique coastlines and reef structures. 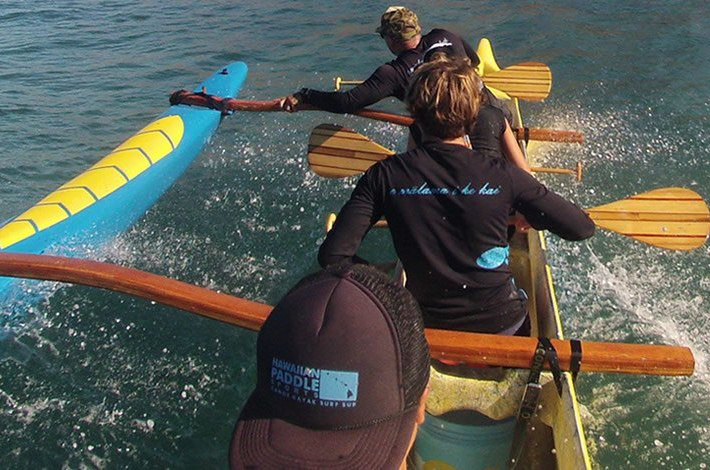 Canoes catch a wave before a traditional surfboard giving canoe surfing an adrenaline edge! 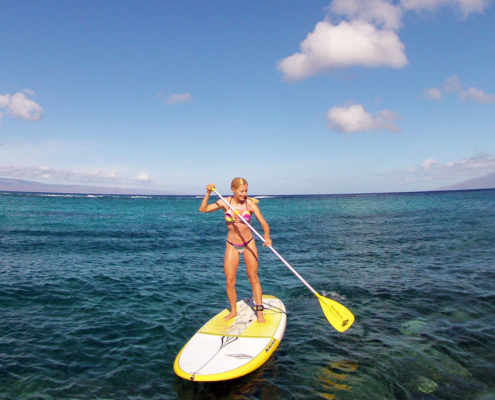 Stand Up Paddling got it’s start right here in Maui Hawaii! 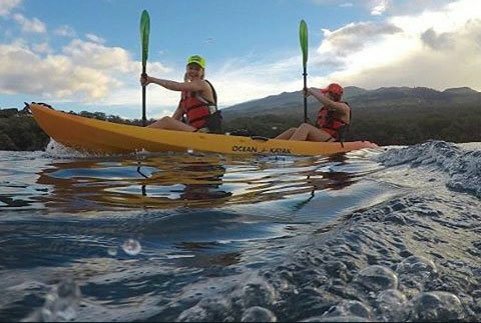 Paddling in Maui Is No Ka Oi! Whether you choose to paddle an outrigger canoe, kayak, or stand up paddleboard, Maui offers an ocean playground that simply cannot be beaten. 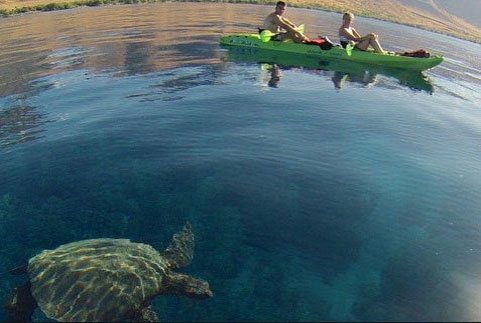 Paddling is a community endeavor and we welcome visitors by sharing information to get you started and out in the water. 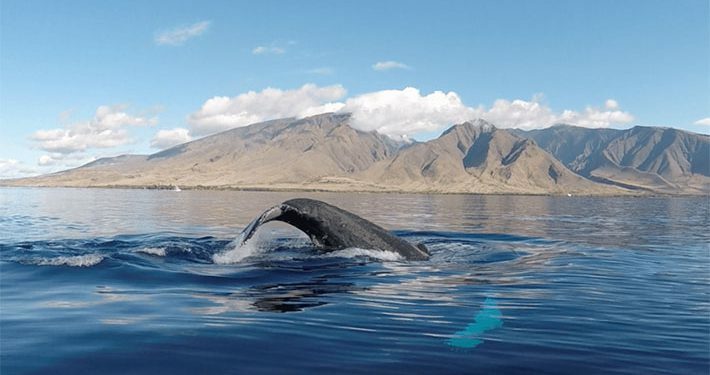 In order to enjoy the ocean, we believe we must also give back to our marine environment. 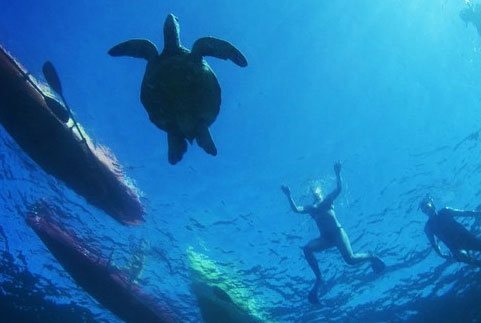 Please check out the various community events and cleanups benefitting Maui waters and beaches.